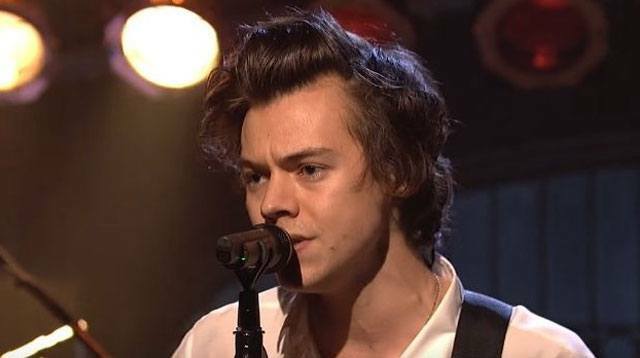 Harry Styles might have only just launched his solo singing career, but the One Direction lad is already being accused of copyright infringement, after people speculated about the similarities between his song "Ever Since New York" and Badfinger's "Baby Blue." After debuting the second song from his self-titled album on Saturday Night Live, Twitter was quick to cite resemblances between the guitar riff in "Ever Since New York" and the one in the 1971 rock track, "Baby Blue." One Twitter user wrote: "I guess Harry Styles thought that nobody would remember the riffs and transitions from Badfinger's 'Baby Blue,'" while another commented: "Is that guitar hook in the 2nd Harry Styles SNL appearance a direct rip off of Badfinger's Baby Blue?" As of yet, neither Harry nor Badfinger has responded to the claims, but an industry insider (whatever that means) told The Sun: "This is the last thing Harry needed. His solo launch hasn't quite gone to plan and this is another distraction. "He takes real pride in his new material and to be accused of nicking a riff will really hurt." Ha ha nice try Styles but some of us have heard Badfinger's Baby Blue.